KUCHING: Public speaking is an essential skill to persuade the masses, said Minister for Education, Science and Technological Research Dato Sri Michael Manyin Jawong. He added that the spreading of ideas through public speaking would allow the masses to be subjected by it. “Public speaking will benefit society and it is required by every region as it helps to persuade the masses. “If you want to compete and survive in this hyper-connected world, public speaking is one of the essential skills,” stressed Manyin during the launching of ‘Public Speaking: Uncle Mike’s Recipe’ by Mike Lim at Sarawak Club here yesterday. 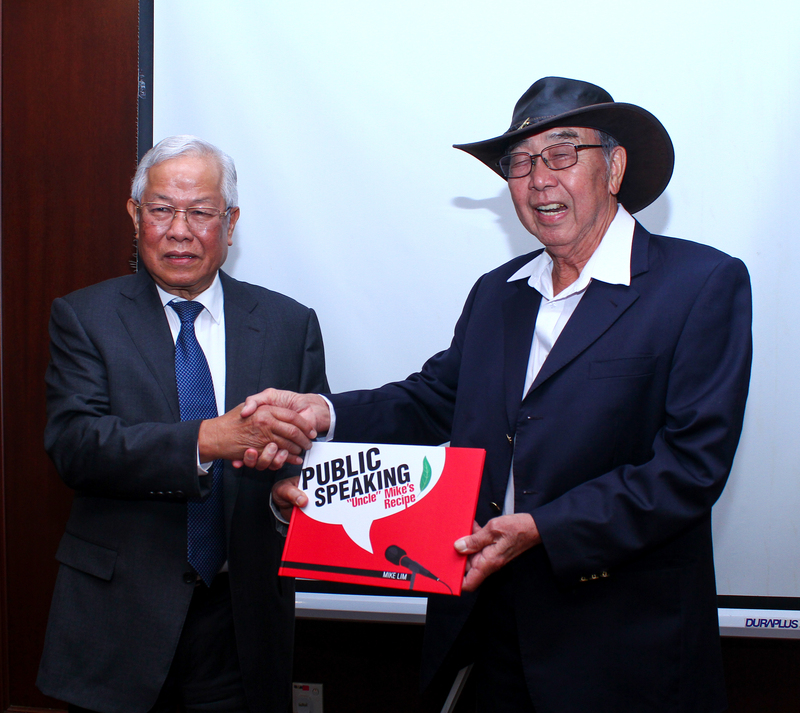 The book on public speaking by Mike Lim focuses on the elements of public speaking, speech writing, speech presentation and use of visual aids. Speaking during the launching ceremony, Mike pointed out that his book was suitable for all spectrums of society who were interested in enhancing their public speaking skills. Two copies of the book will be delivered to every school throughout the state. Also present were Permanent Secretary to the Ministry of Education, Science and Technological Research, Datu Sudarsono Osman. ‘Public Speaking: Uncle Mike’s Recipe’ launched 0 out of 5 based on 0 ratings. 0 user reviews.